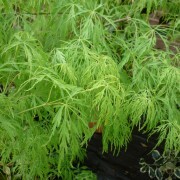 Acer palmatum dissectum ‘Viridis’ is a weeping Japanese maple. 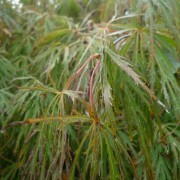 The foliage is deeply dissected and lace-like. 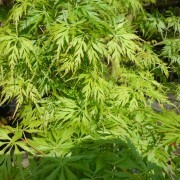 During the spring and summer, the foliage is bright green. 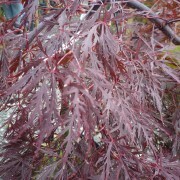 This turns a gold\crimson during the autumn. It should be planted in a sheltered, shady position. 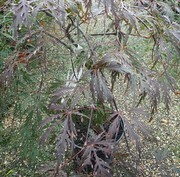 Acer palmatum dissectum ‘Viridis’ has an eventual height of 3m.